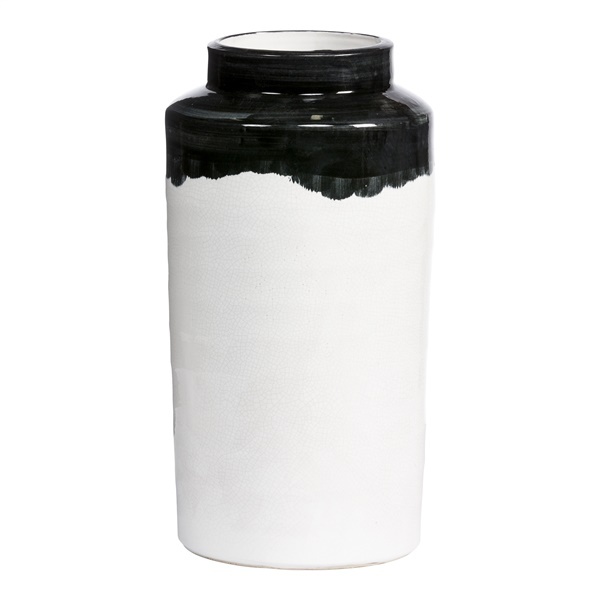 Give your space a graphic accent with the bold black-and-white appeal of the Bottiglia Vase by Moe’s. Crafted of quality terracotta in a simple and sleek silhouette, each Bottiglia Vase brings a bright burst of subtle shine in its easy-to-incorporate color palette, which makes as much of a statement in a minimalist motif as it does in an eclectic aesthetic. Bold yet easy-to-incorporate color combination.